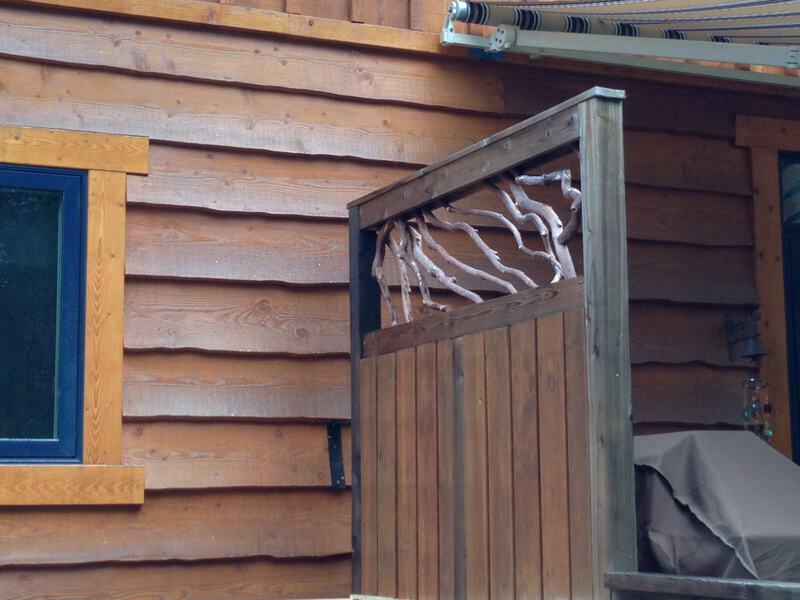 I’m sure you must be thinking you were never going to see these pictures…but I wanted foliage to look presentable after the long, long winter and also the deck floor needed a little TLC, so had to wait out the rainy season after the snow! 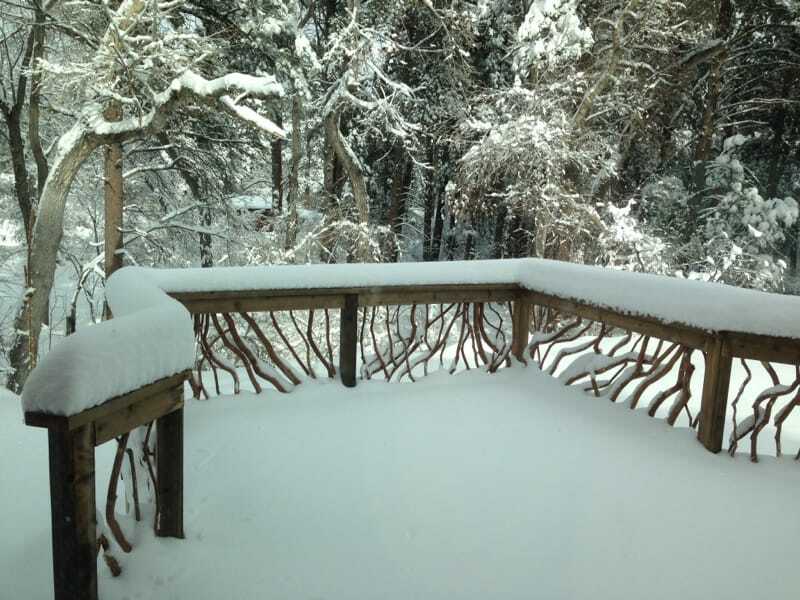 I also enclosed a winter view for you, though I didn’t do the railings justice with my photo–it really did look striking when the snow landed on the twigs ‘just so’. 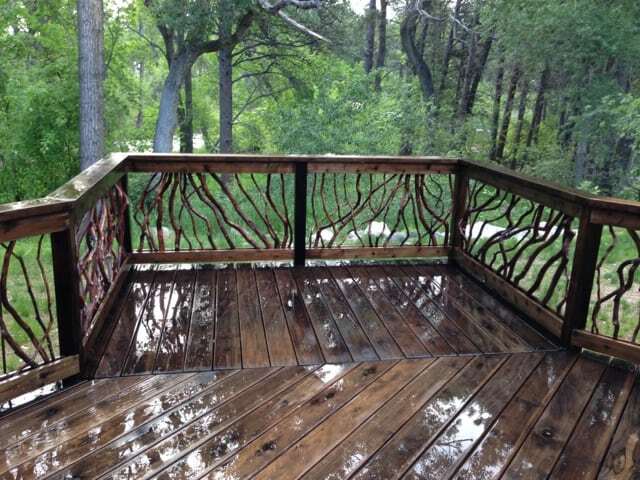 The third shot is of that short railing I tried to describe when ordering last summer. 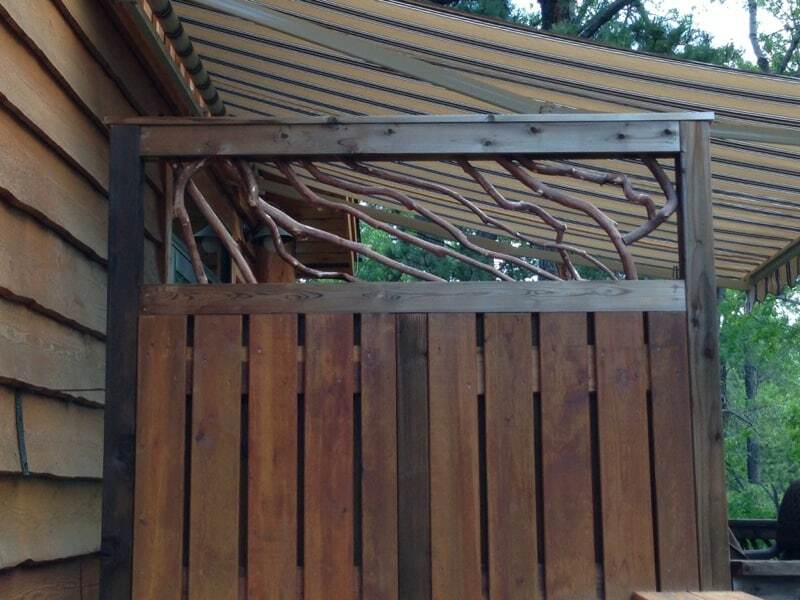 You questioned my measurements, understandably, so wanted you to see the finished product on a privacy fence. Love, love, love our outdoor space!! Thank you for your patience!